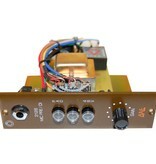 The 312B Signature Series carries the same excellent dynamic range, frequency response and noise performance the BAE 312 series is known for, but with a newly introduced and modified gain structure which utilizes a lower gain Jensen input transformer, designed to compliment louder sources before needing to implement the pad. The 312A's higher gain structure occasionally required the pad to be used frequently with louder sources, such as a hot microphone on drums. The 312B uses an alternative Jensen transformer putting it at 7dB's of lower gain to accommodate louder sources without losing the dynamic characteristics of the 312A. This allows engineers the option of owning the 312A as a pre-amp geared toward higher gain and the 312B for toward lower gain. The 312B, just like the 312A, features the Avedis® 1122 Discrete Op-Amp and input and output Jensen transformers which use direct-coupled circuitry with no capacitors in the signal path. The input impedance of the 312B is designed to remain consistent, even after the pad is engaged, providing a steady load to the microphone. The characteristics of the 312B offer excellent dynamic range, frequency response, high headroom, and excellent noise performance for a punchy sound which works well with many microphones. 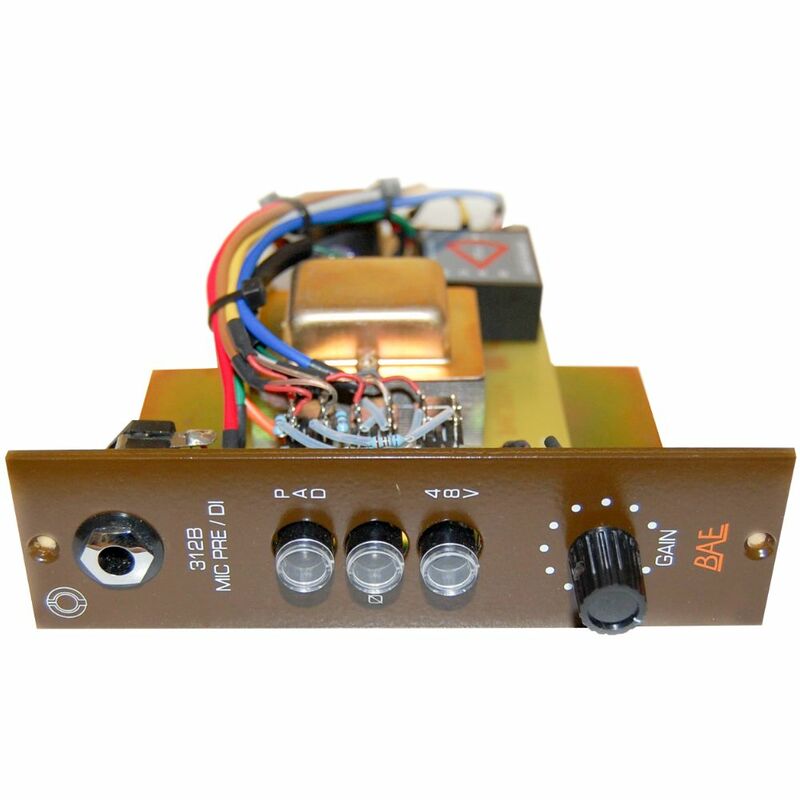 The 312B is available as a single 500 Series module and it includes a custom pull-on switch tailored to accentuate higher frequencies, a DI for instruments, a Phase Reverse switch, 48V for phantom power, and a PAD switch.